Today, I want to discuss a technique an investigator can employ to catch a perpetrator: victimology. Victimology is a field in forensic science, specifically it is the study of victim characteristics. The investigator looks at the victim’s personal, professional and social life to determine why they were selected at the specific location and time. 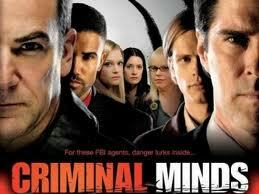 The show Criminal Minds dramatizes the lives of special agents with the Behavioral Analysis Unit of the FBI. The agents look over cases of serial killings and use similarities between victims to profile the unknown subject (unsub) in order to apprehend them. Victims fall into three categories: High-, medium- and low-risk. I used information from the HOW DUNIT series, Forensics: A Guide for Writers, pages 415-16, to explain the characteristics of the three victim categories. Besides the type of risk associated with the victim, the unsub’s fantasy needs and the victim’s vulnerability can lend investigators insight to why a particular victim was selected. Either they were a victim of opportunity (wrong place at the wrong time) or they “fit the starring role” in the unsub’s fantasy. The unsub will “cruise” or stalk their victim to ensure they’re the right person. The characteristics shared among the victims provides the investigators with not only the type of people at risk, but also an understanding of the unsub and why they are attacking these particular victims. What shows do you use for inspiration or reference when writing? Great post. Victimology was one of my favorite courses because it actually helped me process of the emotions of being a victim. I've used the How Dunit book too and found it to be a great resource. Great choice for V! Soap operas sometimes help me work on how to get that cliffhanger in each scene. That way, I can keep the reader engaged as much as possible in the story. Thanks for sharing, and it's a pleasure to meet you via the A-Z Challenge!